Comments are resource intensive. Each time a user submits a comment on your WordPress site, your server runs a PHP script. If multiple users are submitting comments at the same time, this could slow down your site. Try a WordPress hosting provider like WPEngine for betterment. Instead of using CAPTCHA, you should enable comment moderation on your site and manually approve each and every comment. Comment moderation will not only allow you to block spam, it will also provide you a chance to interact with your users more often. 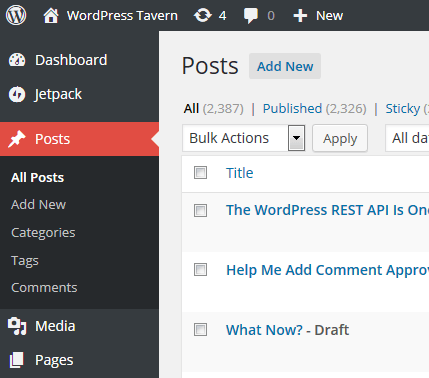 You can provide users a chance to subscribe to comments on your WordPress posts. This way they can get immediate notifications when there is a new comment. This will significantly increase your pageviews and number of comments on your website. Your users will find discussions on your site to be more engaging. You can easily allow users to subscribe to their own comments. This way they will only receive a notification email when someone replies to their comment. This could develop a highly engaging community around your blog if you make it a habit to reply to most user comments on your site. By default WordPress shows the newest comment at the bottom of the comments list. This can be easily changed in WordPress, simply go to Settings > Discussion and scroll down to other comments settings section. You need to select newer from the drop down menu. As you noticed, the enumerated ways above are consists only of five (5), you can view the rest of them at Ways to Get More Comments on Your WordPress Blog Posts. 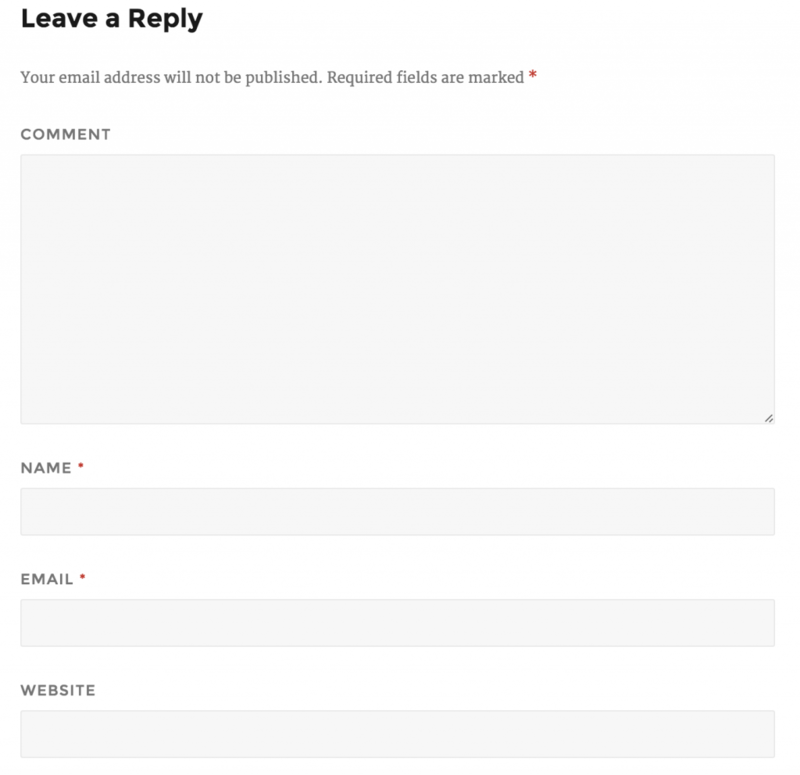 WordPress plugin and theme developers need to take note that in WordPress 4.4, the comment form is arranged so that the text area is displayed first followed by the name, email, and website fields. As said by Aaron Jorbin, WordPress core developer, the change improves navigation to toggle through fields and makes it easier for users to leave comments. Since the change requires filters and actions to run, the HTML output will be different and developers should test their themes and plugins. If you only enable comments for posts, you can try WP Comment Humility, a new plugin created by John James Jacoby that moves the top-level Comments menu item to the Posts menu. According the plugin’s FAQ, the user experience might be weird, “If you have a posts type other than post that supports comments, it may make more sense to not use this plugin,”. Jacoby suggests to give it a try and if the user experience doesn’t feel right, to disable it. WP Comment Humility is available for free in the WordPress plugin directory or for more details you can check at WP Comment Humility. Topher DeRosia, who recently attended WordCamp Pune, India, published a post on the HeroPress blog that describes the subtle impacts the project is having on people. Saurabh Shukla, lead organizer of WordCamp Pune, says the site inspired also their presentation; it was a workshop where people could experience accessibility issues for themselves, WordPress, and for South Asia. India is excited about HeroPress because they’re getting respect from DeRosia and thousands of readers around the world. The people are requesting more essays, exchanges of knowledge, shared wisdom, shared respect, and more of the HeroPress spirit. If you want to read the full writings of DeRosia, you can check at The Impacts HeroPress Is Having on WordPress Communities in India. Moderating replies to comments in the backend of WordPress is tough. You can’t see the parent comment unless you open the author link in a new browser tab that makes it more difficult to determine if the reply is from a spammer. The potential solution of the problem is Show Parent Comment by Stephen Cronin. Simply activate and browse to the comment section of the WordPress backend. This displays the text of the parent comment inside the reply and helps moderators keep track of the conversation which helps to identify copy/paste spammers. Although Show Parent Comment is available on the plugin directory for free, it’s a proof of concept and is not officially supported by Cronin. If you have more things to know about Show Parent Comment by Stephen Cronin, please visit this.